Nowhere else to put these but in a category of their own! 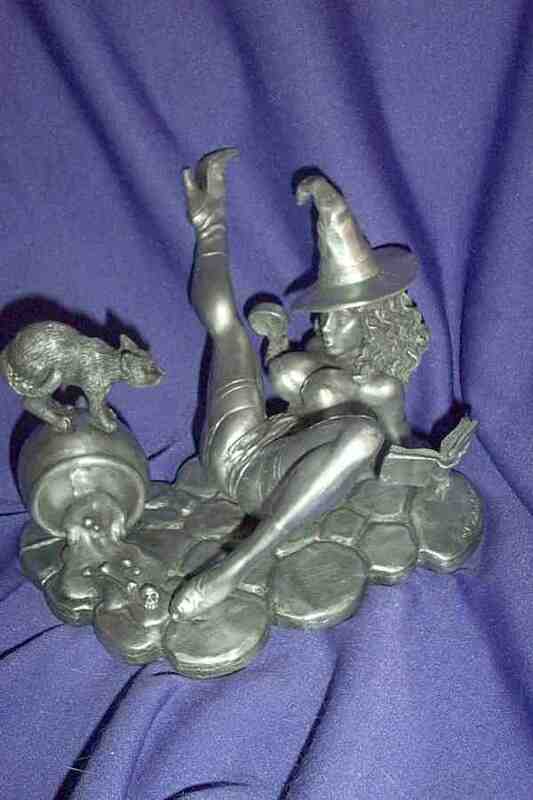 100% guaranteed politically incorrect witch statues in pewter effect resin - absolutely superb detail and just plain FUN! 11 inches high and the same across - this is just BRILLIANT quality for this price. Same superb detail - 11 inches high. Magnificent scantily-clad buxom witch in the aftermath of a spell explosion - the cauldron has gone over and the potion is lost! Available only in multi-coloured finish - silver no longer being made! 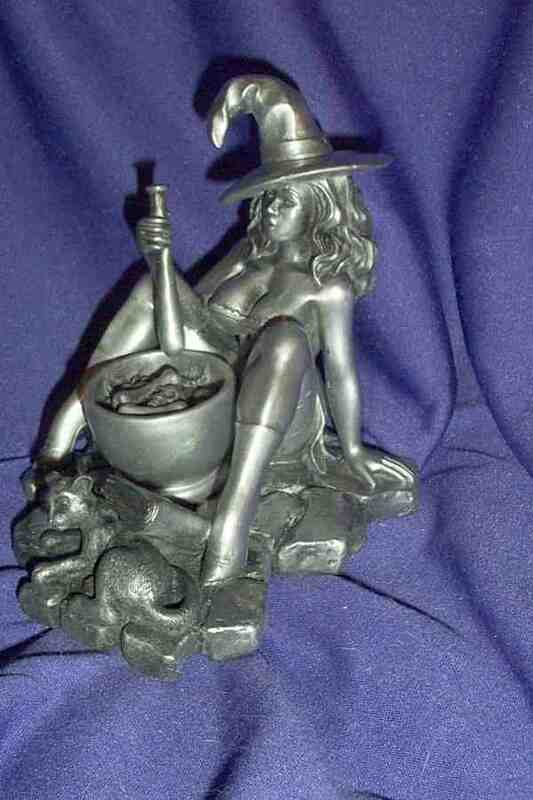 Magnificent scantily-clad buxom witch brewing up trouble for some poor unsuspecting foe or lover! Same superb detail - 6 inches high. 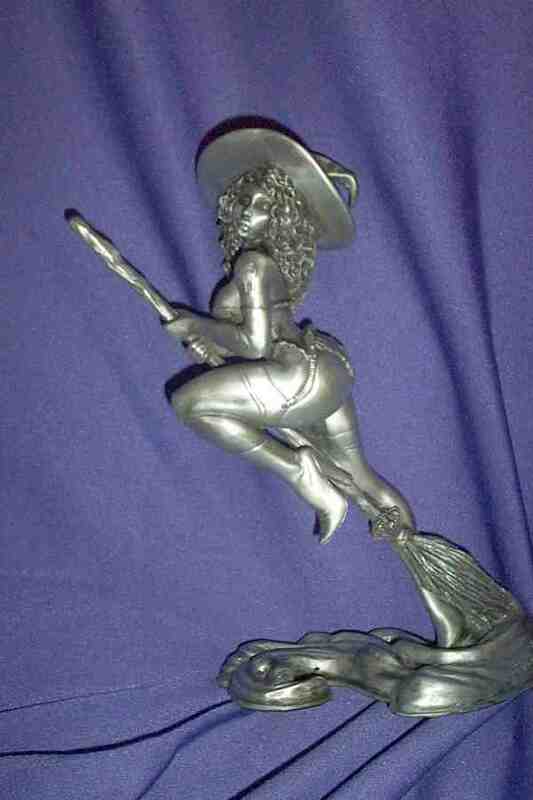 Magnificent scantily-clad buxom witch riding a broomstick - ideal for holding your mobile phone! Same superb detail - 4 inches high.